The Board of Supervisors has unanimously adopted a resolution calling on Gov. Terry McAuliffe (D) to veto a bill that would limit localities’ ability to negotiate and accept proffers, an important tool in the Loudoun’s ability to keep up with its explosive growth. The bill passed the General Assembly Feb. 23. The governor must decide whether to sign the bill by midnight on March 8. The resolution says the bill will “put an end to the constructive and collaborative development process” and “completely eliminates the ability of developers, despite a genuine desire to do so, to offer proffers for public facilities or improvements” except where those facilities are specifically named in the bill. “What happens with this bill will not help the developers, because we will more likely have to say no” to the rezoning requests, said Chairwoman Phyllis Randall (D-At Large). She said arguments from other counties around the state have “fallen on deaf ears” in Richmond. 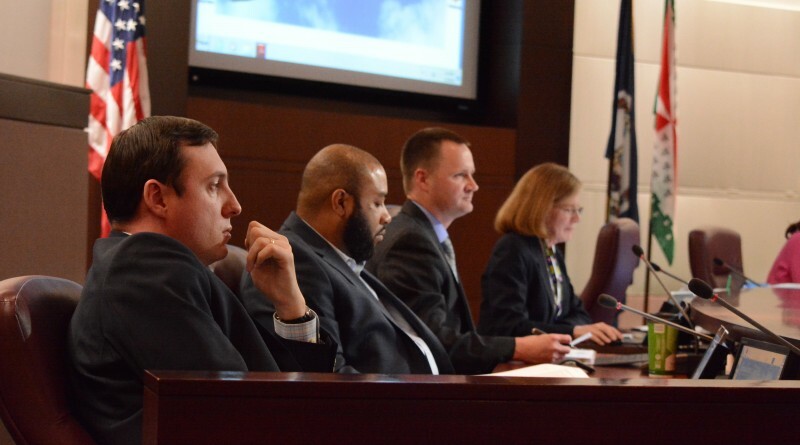 “This proffer bill was discussed throughout VACO [the Virginia Association of Counties], which says to me that the members of the General Assembly are not listening to the counties, thus not listening to their constituencies,” Randall said. The board has also directed staff to come up with a list of fiscal impacts and projects outlawed by the bill to attach to the resolution. It will be sent to the governor and the Loudoun delegation to the General Assembly, several of whom have opposed the bill.